Sunshine Shades & Sails are an Australian owned company that designs and installs specialists shade and sail structures. With 15 years experience in the design, engineering and fabrication of quality shade structures our experience enables us to provide purpose designed and built structures to suit every need and a range of applications. Shade sails are pieces of permeable fabrics spread wide over an area and attached to metal or timber posts or other approved frames. They are designed to provide cover, shade, and protection from the sun, wind, and rain. Shade sails come in a variety of colours, styles, and shapes. The triangle or square models made of high-density shade materials are the most popular shade sails around. Shade sails are made of high quality commercial-grade fabrics to prevent more than 90% of the harmful UV rays of the sun from penetrating the sails. Waterproof Shades and sails are also available for dry entertainment areas or car ports and are made out of a durable vinyl material. Most shade sails are also made with reinforced fabric knitted with polyethylene fabric that does not rot, shrink, tear, fray, or deteriorate from the UV rays and other external factors. Shade sails are specially treated to minimize fading. They are designed with heavy-duty D-ring corners made of stainless steel for safe and secure tensioned installation to existing structures such as trees or poles. The best and most common style in installing shade sails is giving the corners of the shade sails a significant difference in height. One corner should be much higher than the other. This style gives the shade sails a more striking look and provides an angle that offers more protection from the sun, rain, and wind. Another popular installation style for shade sails is the overlapping effect. This is done by installing a series of shade sails to form an overlapping effect. This installation design provides a dramatic sculpted look. It also provides more protection and cover from flying debris compared to installing a single shade sail. 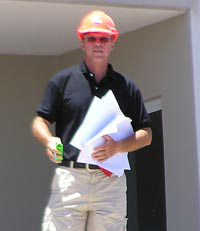 So call today to arrange your FREE design, measure and quotation.